An additional 3.3 miles of Coast to Crest Trail was built in Pamo Valley near Ramona. The Pamo Valley trail segment, once a gap in the planned Coast to Crest Trail, connects two existing trails in the Cleveland National Forest, the Lower Santa Ysabel Truck Trail (from Boden Canyon to Pamo Road) and the Upper Santa Ysabel Truck Trail (Pamo Road to near Sutherland Reservoir) to form 12 contiguous miles of Coast to Crest Trail. Permits from the City and County of San Diego to construct the Pamo Valley trail segment were received in May 2017 and construction started on September 19, 2017. Grants from the State Natural Resources Agency and REI paid for project construction. Pamo Valley is owned by the City of San Diego Public Utilities Department and leased for cattle grazing. 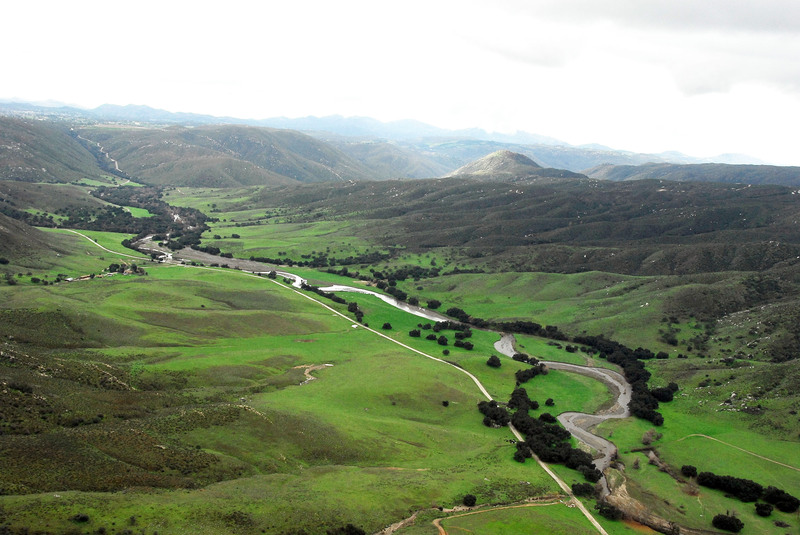 Santa Ysabel and Temescal creeks flow through the picturesque valley and eventually drain into Hodges Reservoir. The valley is also home to the endangered Arroyo Toad and least Bell’s vireo along with other sensitive species. Careful planning went into aligning the trail to avoid wetlands and other sensitive habitats and minimize impacts to native plants. In addition to the trail, a staging area located off of Pamo Road near the intersection with Orosco Ridge Road provides parking for trail users and equestrian trailers. The 6-foot wide trail segment meanders along the valley floor near Pamo Road and offers spectacular views up and down beautiful Pamo Valley and the surrounding foothills. This valley was once planned for a water storage reservoir, but now provides public recreational access in an area unfamiliar to most San Diegans. SDRP rangers, work crews, and volunteers built much of the trail. First, the trail alignment was staked in the field. Although the trail itself is mostly on level terrain, it needed to cross several small drainages that flow from the foothills toward the main creeks. Trail crossings entail technical bridge and culvert construction to allow the drainages to flow and trail users to safely pass. Habitat restoration was also a part of the project, which involved weed removal and planting native coastal sage scrub and grassland species. The Pamo Valley segment of the Coast to Crest Trail opened for hikers, mountain bikers, and equestrians on January 26, 2019.